Are you coming to Los Angeles this week? I don’t want to oversell things, but the BSM Summit may just be the most important event in human history. Alright, so maybe that is overselling, but if we’re being real the BSM Summit is something that the radio industry needs more of: a format-specific conference. I have always been of the mind that good content is good content and good strategies are good strategies. You don’t need advice to come from someone with experience in sports radio for the advice to be useful. That isn’t what the BSM Summit is about though. The BSM Summit is a place to exchange ideas and learn from others’ experiences. Sure, there will be plenty of networking and plenty of panels will feature programmers and talent that have decades of experience in sports radio, but the real value will come from people that have done interesting things in the world of sports and ways we innovate for the format by looking for ideas outside of its borders. That’s why there’s a whole panel on eSports. That’s why former WCW President and WWE Raw General Manager Eric Bischoff is speaking. It’s why we’re in LA the week of the Academy Awards. In order to innovate for the future of sports radio, we need to look outside of our own box. Don’t mistake that to mean that I am not interested in hearing the programmers of the most successful sports radio brands in two of the country’s biggest markets talk about the past, present, and future of the format during the Summit’s opening session. There are plenty of names of sports radio lifers on the agenda, and I look forward to hearing what they have to say. Anyone on that opening panel will tell you that you don’t innovate by reliving the past. You can’t build a strategy for 2029 around doing what works in 2019. That is why outside voices are so important. That is why Thursday afternoon’s “Inside vs. Outside Thinking” panel is so important. What I hope we all leave LA with are buckets of new ideas for programming, talent coaching, and marketing. I’m going to be 38-years-old in August. I would venture a guess that the majority of men in my demographic think sports radio is the most entertaining format the medium has to offer. 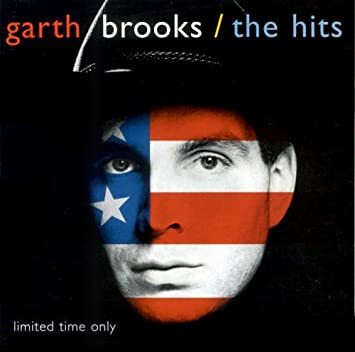 We’ve heard “Back in Black” and Garth Brooks’s greatest hits so often that music radio rarely rises above simply being background noise for us. We “play the hits” in sports radio too, but the way we play those hits can still surprise listeners. Attend every panel. Ask questions. Listen to others’ questions. They’re asking about how to implement these outside the box strategies into sports radio, after all. Take notes. Shake hands and exchange email addresses at the cocktail reception. Use Thursday and Friday in LA to grow your arsenal. That way, when you return home and are thinking about your brand’s longterm strategy, you will have all kinds of new information and perspective for thinking about where this format and your station goes next. What Are The Characteristics Of a Perfect Sales Rep?